All tuition must be paid by cash, check, or money order unless a tuition budget contract has been approved. Payment in full at the time of registration for each particular course is required. Students who need tuition assistance, loans, or scholarship assistance are encouraged to make a written request for appropriate applications in advance of the semester enrollment. All students are required to pay in advance for the first two courses prior to making application for any financial aid. Financial aid, tuition assistance, or scholarship awards are based upon the student's income, ministry status (full, part-time), as well as financial stewardship. Conservative Theological University is not funded or supported by any denomination. 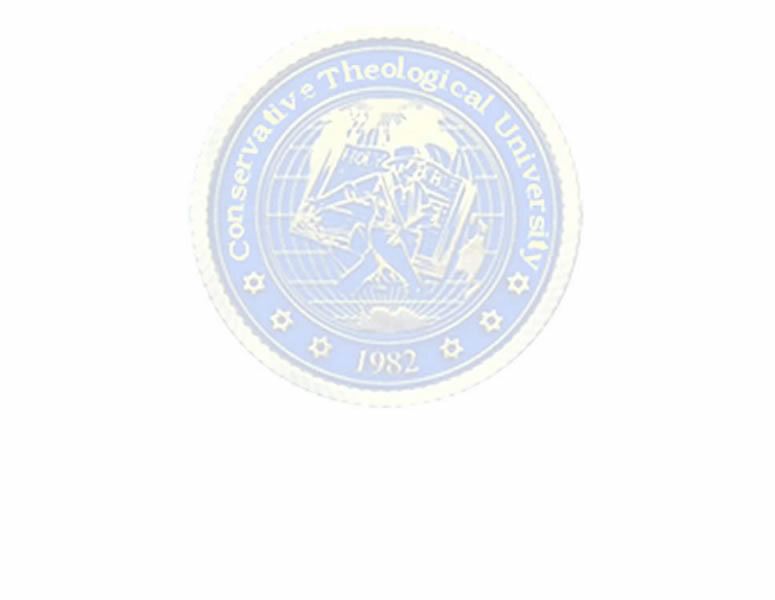 Therefore, all financial aid and scholarships awarded are underwritten by Conservative Theological University. Financial aid is very limited and awarded at the discretion of the university. CTU provides a limited number of on campus students with full work-study scholarships. The amount of the scholarship is determined by the available of work hours for the student as well as the area of ministry related work being preformed. Qualified foreign students residing in third-world countries automatically receive a foreign student 50% scholarship. However, there is no financial assistance for the application, registration, textbook fees and costs. This is for internal program only. All foreign students come to America to study on campus must meet all INS and CTU requirements for R-1 visa including the required evidence of financial capabilities.